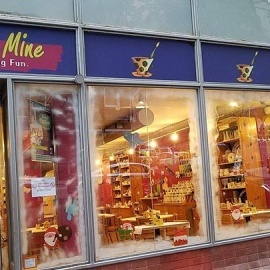 Color Me Mine Tribeca is a paint it yourself ceramic studio! Let out your creativity here at our studio located in Manhattan. Studio fee of $12 for adults and $8 for children 12yrs and younger plus the cost of the piece(s) that you want to paint. Simple as that! The studio fee includes the use of our paint, brushes, materials to help make you piece unique, the time spent at the studio and having our staff glaze and fire your items! Come back a week after your visit to pick up your finish piece! We are open 7 days a week and gladly welcome walk ins and help host birthday parties (please inquire over phone or in store). When you come with a group of > 6 people, please call us to make a reservation. If you have a large group for a party, please make your reservation in advance by calling us or via Party page. Please be advised that a party reservation requests a deposit. And, a 15% gratuity is charged in any group reserved and served. If you like to enjoy a good evening at Color Me Mine, please make sure you come in before 7pm M-F (6pm Sunday) so that you will have enough time to complete a lovely piece before our studio closes at 9pm Monday-Friday (8pm Sunday). Feel free to bring any food or beverages (and yes all you grown ups, alcohol is allowed)! Look out for new items and upcoming events here at our studio! 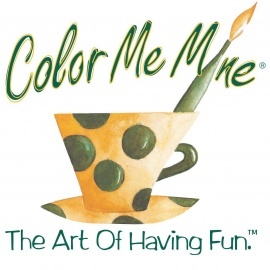 Come join us at Color Me Mine Tribeca and let us show yo the ART OF HAVING FUN! Walk ins are first come first serve. If you have a group of 6 or more (including painters AND non-painters, children AND adults), please call or email us to make a reservation. Your #1 source for all golf products. Rough Trade is one of NYC's biggest music stores!